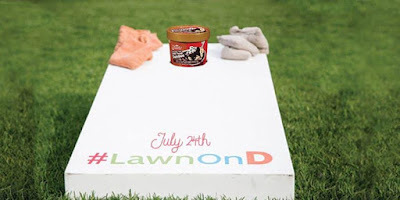 The Lawn on D invites their Fort Point neighbors to eat ice cream this Friday, July 24th from 12 pm to 2 pm. In celebration of summer in the city and national ice cream month, Friendly's livens up your Friday lunch hour with a free ice cream pop-up. Friendly’s ambassadors will be handing out a variety of Sundae Snack Cups, including their Original Fudge Sundae Cup and Ice Cream Cake Sundae Cup. Indulge in an afternoon of free frozen treats, lawn games and live music at the Lawn on D. It's Friday in the summer.